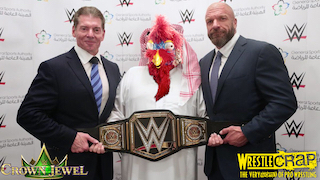 Category Archive for "Gooker Winner Inductions" | WrestleCrap – The Very Worst of Pro Wrestling! The very worst of the very worst – your choices for the worst of the year in pro wrestling! 2018 Gooker Award Voting! Pick the Very Worst of Pro Wrestling! 2016 Gooker Voting Is Here – Vote for the Worst of the Worst! Gooker 2013 – The Voting is Over!